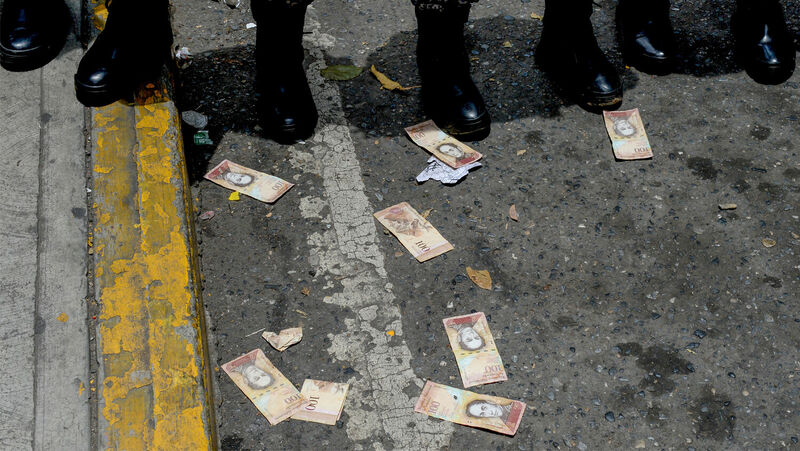 Venezuelan bolivar banknotes litter the pavement. Listen to the August 21, 2018, episode of the Trumpet Daily Radio Show. Everyone in Venezuela is a millionaire—and living in poverty. A million bolivars won’t even buy a loaf of bread. It wasn’t long ago that Venezuela was held up as the poster nation for the socialist dream. Today, the disastrous results of this socialist experiment are on full display. Food shortages, rioting and hyperinflation are plunging the country into the abyss. The average Venezuelan loses 19 pounds a year from lack of food. Despite the clear evidence against socialism, more Americans than ever are convinced that the same system can work in the United States! What is behind the rise of the socialist movement in America?